Death row inmate, Edmund Zagorski, has chosen the electric chair for his upcoming scheduled execution. 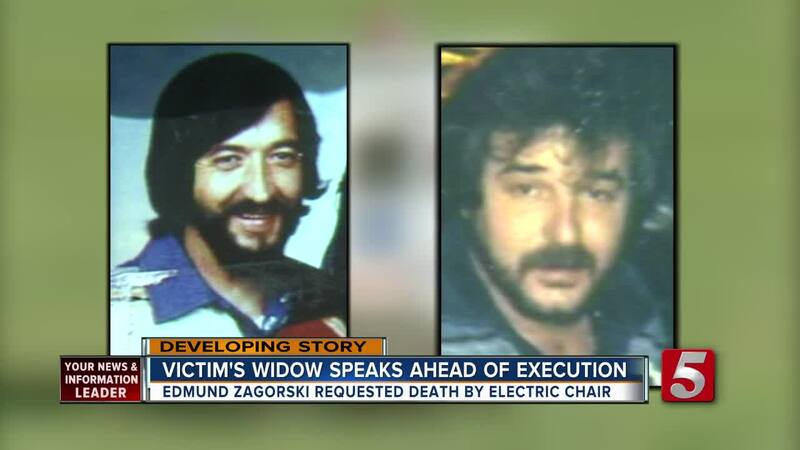 Death row inmate, Edmund Zagorski, has chosen the electric chair for his upcoming execution. His attorney, Kelley Henry, released the following statement Monday evening in response to the Tennessee Supreme Court's decision to uphold the state's three-drug lethal injection protocol. However, the next day, Henry said Tennessee Department of Corrections said that they will not use the Electric chair. They said it is too late to make the change. Zagorski was one of 33 inmates, who filed a lawsuit, claiming the drug cocktail used in lethal injections causes the condemned to suffer. A doctor named in the lawsuit claimed the injection would make the inmates feel as if they were choking, drowning in their own fluids or being buried alive. However, the Tennessee Supreme Court said in its ruling "failed to establish that the current, three-drug lethal injection protocol violates prohibitions against cruel and unusual punishment under the United States Constitution and the Tennessee Constitution." Henry said Monday that she will ask for a stay of Zagorski's execution to allow the U.S. Supreme Court time to review the case. He was convicted of killing two men in April of 1983. Zagorski convinced the men that he would sell them 100 lbs. of marijuana, when in reality, he had no plans of selling the drugs, just taking the money.